Home » Casino » What Are Slot Game Races? What Are Slot Game Races? Slot game races are a fairly new type of slot playing competition that you can take part in at a range of different online casino sites. The way they have been designed is that players need to play a certain slot or sometimes a series of different slots of their own choosing, in the hope that they can amass, through their real money gaming action, more comp points than any other player. A casino will often put up one or a series of cash or bonus credits as prizes to those players that during the duration of a slot race, earn the most comp points. However, it does have to be kept in mind that the players who are much more likely to win the prizes on offer on any online casino sites slot races are those which have the biggest bankrolls. You are going to have virtually no chance of winning one of them if you play for very low and very modest stake amounts, as a high rolling slot player is always going to earn more points than you over the long term, due solely to the stakes they play each slot game for! Below therefore are a range of other slot game type competitions that you will have a much fairer chance of winning if you do not have very deep pockets and a huge gambling bankroll! You are not going to find better value on offer to you if you are a slot player than by tracking down and then entering as many freeroll slot tournaments as you possibly can do! Those types of online slot tournaments will not cost you a penny to enter, and by taking part in them you then have the chance of winning either cash payouts or a set of bonus credits, depending on just which casino sites you enter them at. All that you are going to be faced with doing when entering any online slot tournaments is playing a slot game completely free of charge for a small amount of time, in the hope that during the tournament you spin in more winning combinations than other players. All of the payouts you achieve on such a no risk and no cost slot tournament are turned into points and once the tournament has ended the player or players with the highest score or scores then is awarded with the prizes on offer. The more slot tournaments you enter that are free to enter the more chances you will then have of winning one of the prizes attached and associated with them, so do try and enter as many of them as you possibly can do! Whether you take part in any slot game promotional offers is always going to be your decision to make, however if you are lucky went taking part in one of them the winnings are always going to be there for the taking. 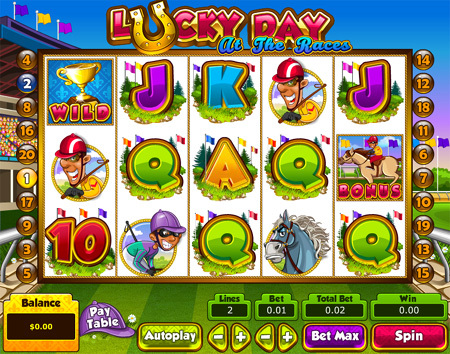 More and more players however have made the decision never to claim any type of bonuses for when you claim any type of bonus you will be agreeing to all manner of different terms and conditions in regards to which slots you can play, how much you can win and how long you have to play them for before you can cash out any winnings. Therefore if you do want to be the master of your own density when playing slot game online, then do consider playing with your own money as you can play any game you like, for as long as you like and can withdraw any winnings at any time too.